Annemarie Ambühl studied Classics and Ancient History at the University of Basel and the University of Michigan. She received her PhD from the University of Basel in 2002 with a thesis on innovative aspects in the portrayal of children and young heroes in Callimachus. She subsequently joined Christine Walde’s Lucan project at the University of Basel. She was awarded a research grant to spend a year as a visiting scholar at the University of Groningen. 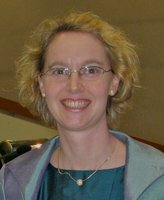 After research and teaching appointments at the universities of Groningen, Gießen, Cologne and Leiden Annemarie Ambühl completed her habilitation treatise on the reception of Greek literature in Lucan’s civil war epic at the University of Mainz in 2012, where she has been a lecturer since. Her main research interests are Greek and Latin epic and tragedy as well as Hellenistic poetry and its reception.